This topic contains 2 replies, has 2 voices, and was last updated by Jeff 8 months, 3 weeks ago. As seems to be the case every time, I can’t login to my account. I need to purchase another license for a new site. Please help. Our apologies for the issues you are having with the login process. Your password has been manually reset, the temporary credentials were sent to the email address on the account. 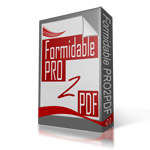 This notice confirms that your password was changed on Formidable PRO2PDF. But nothing indicating what the new password might be.